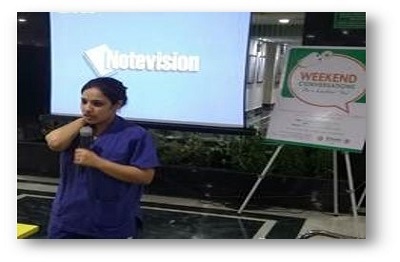 An informative session on ‘Posture-related problems’ was held in IPD Lobby as part of 'Weekend Conversations' series. 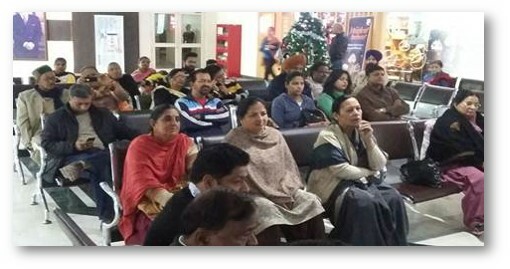 Dr Harmanpreet Kaur from the Physiotherapy Department spoke about the common posture-related problems and said as we get older, bad habits such as slouching and inactivity cause muscle fatigue and tension that ultimately leads to poor posture. She concluded her talk with a message that anyone can improve their posture by making a few lifestyle adjustments which include regular exercise and stretching.